Ironjawz are the most powerful of the orruks. Across the Mortal Realms they are feared, for wherever they pass through, they spread chaos and leave nothing but wreckage. Gurzag Ironskull quickly resigned himself to captivity in the Mirrored City. What orruk wouldn't appreciate an endless cycle of violence and bloodshed. 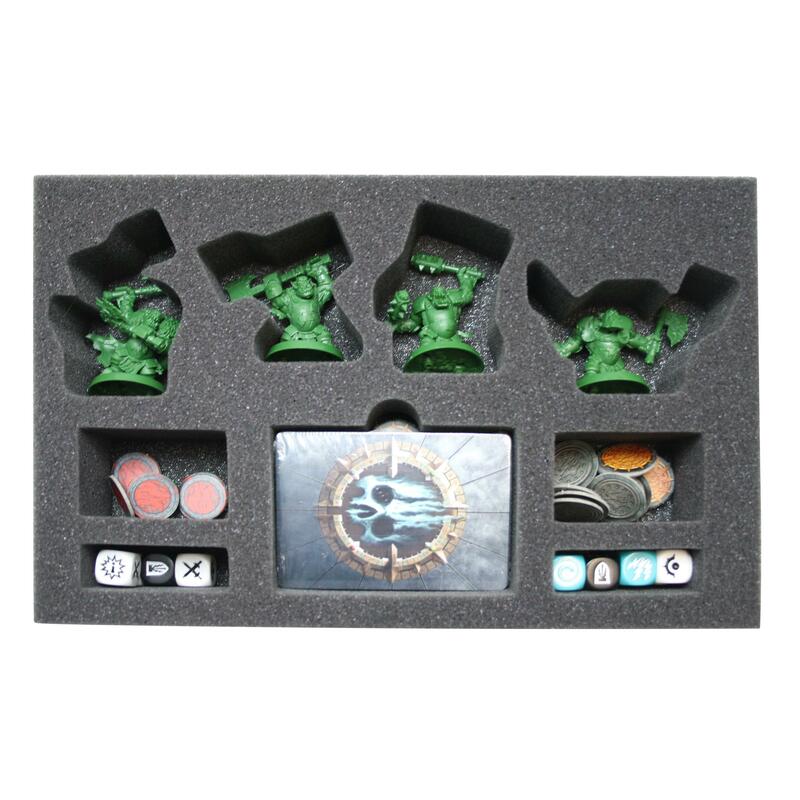 The foam tray comes with a compartment for up to 40 cards (They will fit with or without sleeves) and all four miniatures from the Warband. 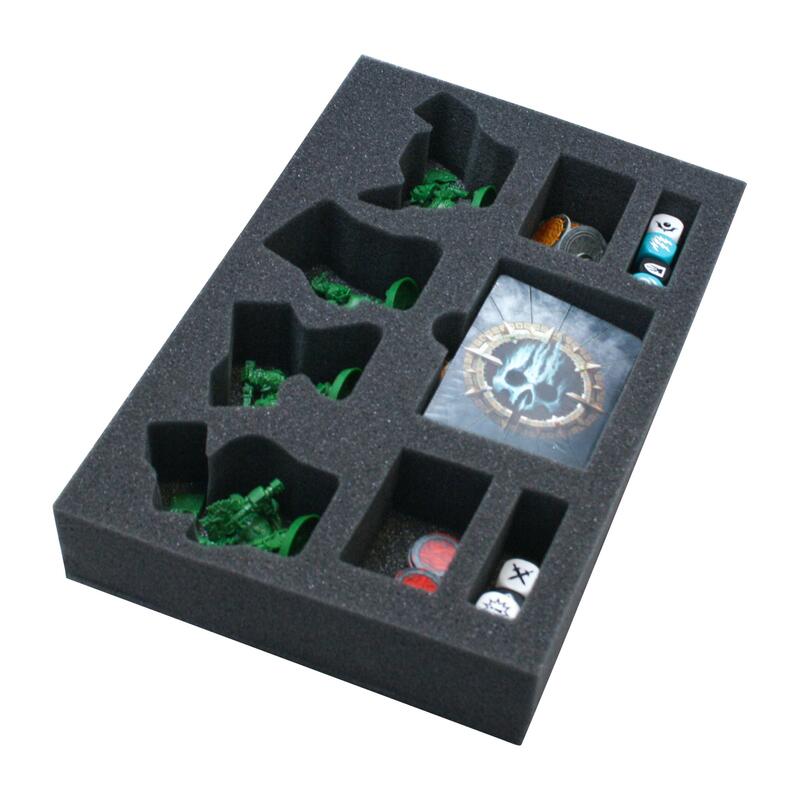 There are also four additional compartments provide extra space for dice and tokens so you can keep track.